Early this morning was announced by Motörhead official Facebook page that Lemmy Kilmister, band’s founder and icon of rock music, passed away today. Kilmister was a great artist, his music is considered an ispiration for every contemporary heavy rock musician. Aside from his musical skills, The Lemmy, as he was named, was well known for his hard living lifestyle. 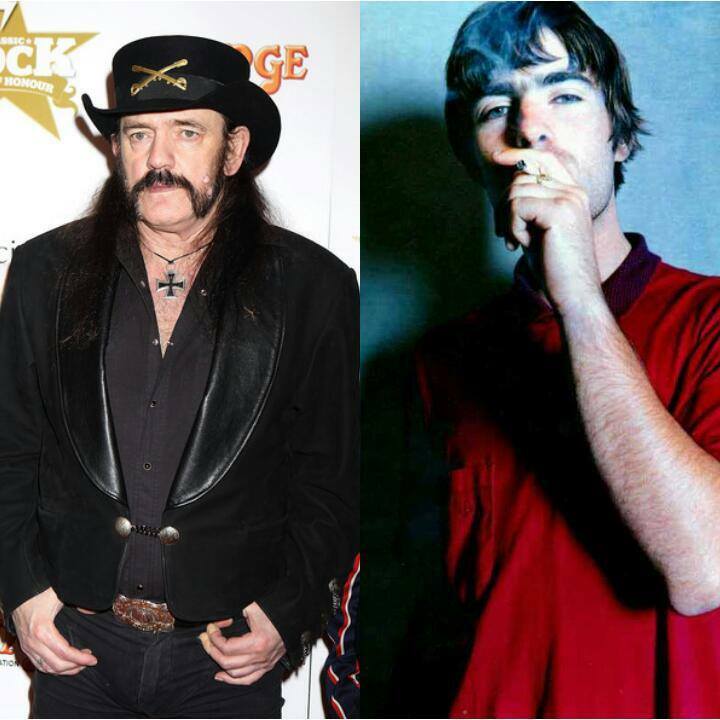 In an interview with GQ in 2013, Liam Gallagher talked about that time he met Lemmy on a flight: “I met him once on a plane. I thought, “I’m not going to drink on this flight, I’m going to wind my neck in. Can I get a water please?” Next minute a pair of cowboy boots get put down beside me. He looked at me and said “What the f*** are you doing drinking water?”. Gem Archer added: “I was on that flight. All Lemmy got off the plane with was duty free and his cowboy boots”. R.i.p. Lemmy Kilmister, the man who twisted Liam Gallagher.